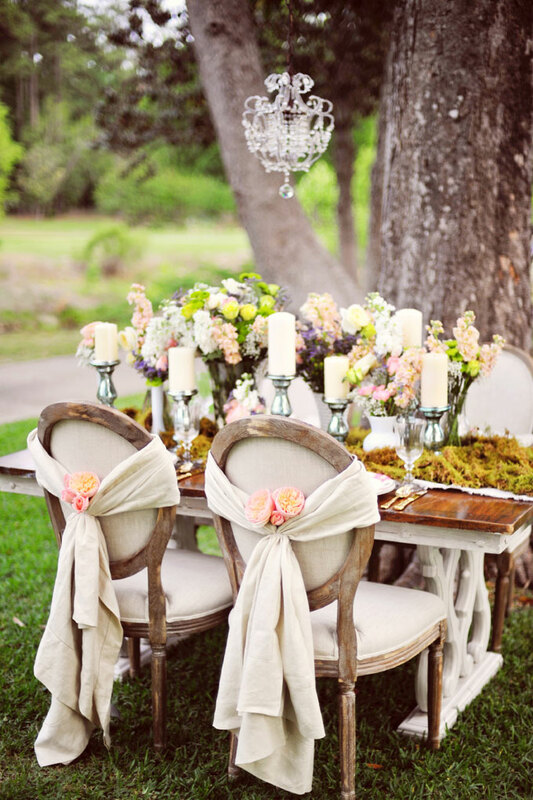 How beautiful is the vintage shabby chic tablescape??! 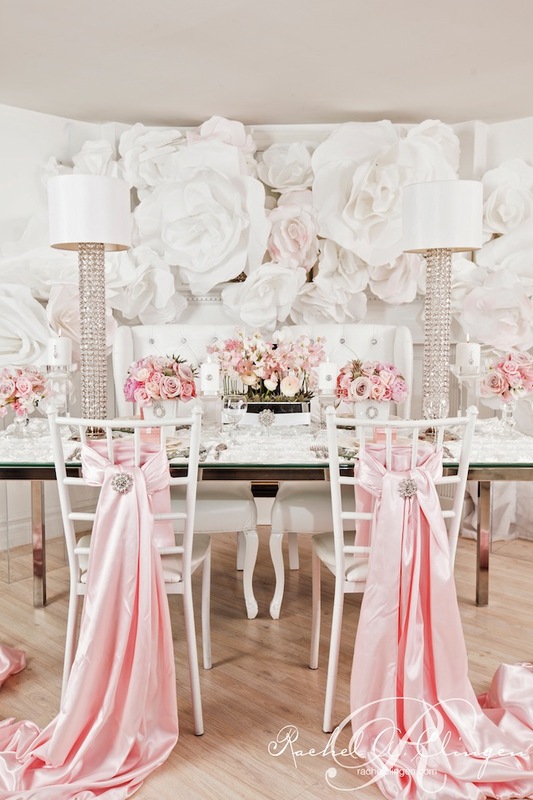 I love the ivory candles on the table with the fabulous lace runner under them. The centerpiece of garden roses of creams and peaches are amazing. I am just smitten for this menu though! 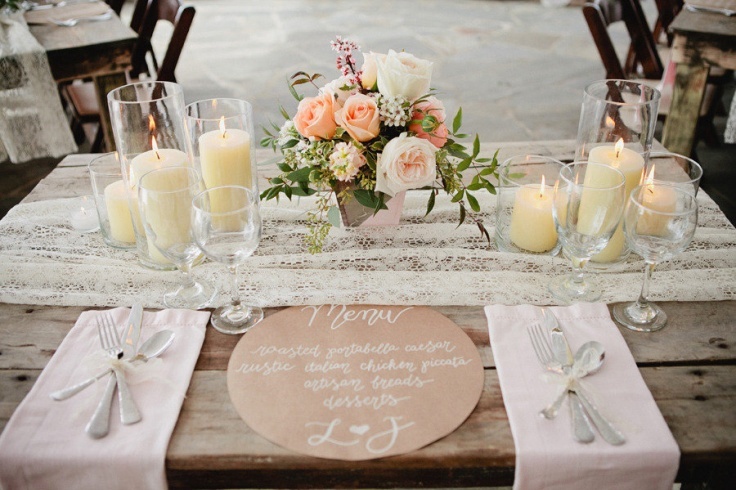 Butcher paper with calligraphy What a darling idea that you can use for some many things! The flatware tied with ribbon is really lovely too.